He who can see truly in the midst of general infatuation is like a man whose watch keeps good time, when all clocks in the town in which he lives are wrong. He alone knows the right time; what use is that to him? A mother gave her children Aesop's fables to read, in the hope of educating and improving their minds; but they very soon brought the book back, and the eldest, wise beyond his years, delivered himself as follows: This is no book for us; it's much too childish and stupid. You can't make us believe that foxes and wolves and ravens are able to talk; we've got beyond stories of that kind! In these young hopefuls you have the enlightened Rationalists of the future. We seldom think of what we have but always of what we lack. Therefore, rather than grateful, we are bitter. There are very few who can think, but every man wants to have an opinion; and what remains but to take it ready-made from others, instead of forming opinions for himself? With health, everything is a source of pleasure; without it, nothing else, whatever it may be, is enjoyable...Healt h is by far the most important element in human happiness. Still, instead of trusting what their own minds tell them, men have as a rule a weakness for trusting others who pretend to supernatural sources of knowledge. 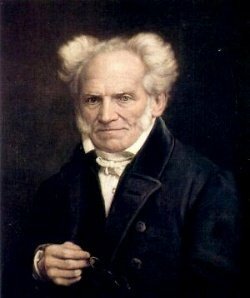 Bio: Arthur Schopenhauer was a German philosopher.